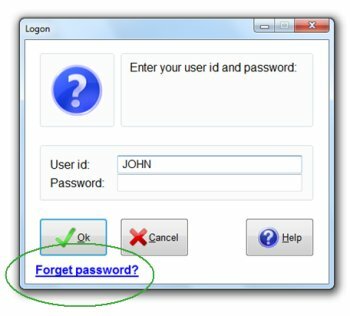 Forgot your password for your free Purchase Order Software? An update has been posted for the free version of SpendMap, which now includes a “Forgot My Password” feature. Please note that you can now also log into the system using your e-mail address rather than your SpendMap User ID in the first field (one less piece of information to remember). To use this feature, you must have an e-mail address specified in the [Name/address] Folder of the User Master File. Also, your system must be able to connect to our Update Server (spendmap-updates.com) which will send out the e-mail with your login information (the free desktop application cannot send the e-mail itself, as that would present a security risk, plus you may not have enabled the e-mail module yet). So please make sure that all your user accounts have an e-mail address set up in the applicable field. To get the updated version of SpendMap, you can either wait for the next auto-update cycle (could take up to a week) or you can just select the menu HELP > CHECK FOR UPDATES from within SpendMap.